Only Mites, Peewees, Juniors and Senior Football open. All else closed!!!!! 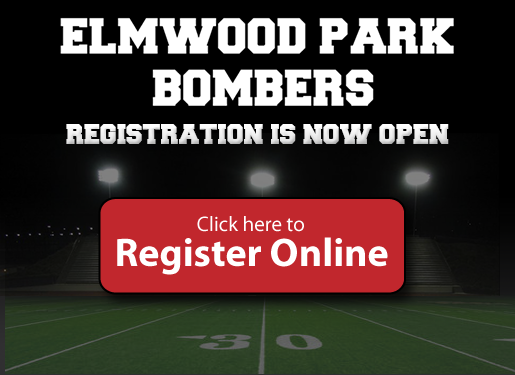 Football registration from Mites to seniors is now open for the 2018 season to all Elmwood Park residents. ONLINE ONLY. Losed......Flag football and Flag Cher is FREE and you will need to buy these items: Flag football: Cleats, athletic supporter and cup and mouth piece. These are available at any sporting goods store. You are then required to purchase a game jersey through the bombers at a cost no more than $30.00.